EDITOR'S NOTE: Tomorrow we're going into packing/moving mode - with luck, the newsletter will return Tuesday, April 30 (if not, definitely May 1). News is a bit longer than usual - we couldn't resist including more thoughtful (and unusual) takes on Notre Dame, and had to include some looming deadlines. Click here to see today's news. 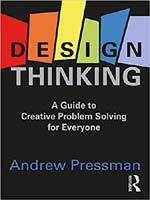 ANN feature: Andrew Pressman: "Design Thinking: A Guide to Creative Problem Solving for Everyone": Three vignettes excerpted from his recently published book, which focuses on how design thinking is applied to real-life challenges. -- Davidson: "Efforts to keep the church intact often caused new wounds, part of a centuries-long dance of healing and damage. The challenge now is not whether to rebuild but how." -- Merrick: "What is it about some ancient churches and cathedrals that resonates in us - and, in passing, humiliates our gurning, pouting, selfied reactions to so-called contemporary iconic architecture?" -- Kennicott: "Most cathedrals exemplify the idea of continual evolution and renewal; they are sturdy, vulnerable, fragile and resilient. No tourist will forswear Notre Dame because it has a new roof." -- Kamin, on Chicago's PBS station: Rebuilding Notre Dame is a "national project" for France. -- Saffron: "Most of our cultural losses occur too slowly to provoke the emotional response we felt watching Paris burn. Philadelphia isn't burning, but we need to treat it as if it were. And people all over the world were watching." -- Dickinson was touring St. Peter's in Rome when he heard the news: "An architect's notes on building, belief, and the power of architecture: We will rebuild the great cathedral - because we can." -- Viennot offers a totally different view: "Notre Dame is - was - splendid, and we mourn it. I feel suddenly alone in the desert in thinking: Let's not rebuild Notre Dame - make of it a memento mori of the 21st century - why not?" -- Fairs takes a deep dive into how "China is fast becoming the world's creative superpower. And it is moving fast. There is a hunger for architecture and design knowledge - China's new generation of design talents are prepared to put in the hours required to succeed." -- Davidson's eloquent take on Weiss/Manfredi's U.S. Embassy in New Delhi, and Tod Williams Billie Tsien/Davis Brody Bond's in Mexico City: "The challenge of designing a large building to spread goodwill and beat back violence has defeated plenty of architects," but these two "hold out hope." -- A "set of artful renderings" of Gehry's office complex for Warner Bros. Burbank, California - "a pair of cool, iceberg-like mid-rise office towers articulated in Gehry's signature fluted and twisted forms." -- Pelli Clarke Pelli's Salesforce Tower in San Francisco named CTBUH's "Best Tall Building Worldwide" for being a "building that gives back" - with mention of some of the other category winners. -- Goldberg's Q&A with Ten to One Architectural Design Studio re: how the team of four manages "to fold pro bono work" into its business model - and makes it work." -- Rafson reports on a gathering of architecture educators that "highlighted the myriad ways architecture schools can help their nearby underserved communities" by helping students get involved. -- Whiting is leaving Rice University to succeed Mostafavi as Dean of Harvard GSD - her "work focuses on the connection between architecture and politics, economics, and society." -- Gang is on a roll: following her O'Hare Airport expansion win last month (with Studio ORD), she's landed on the TIME 100: The Most Influential People of 2019 list (in the "Titans" category). -- One we couldn't resist: A website was fined $29,800 after a Feng Shui expert wrote that Hadid's Wangjing Soho towers in Beijing "had brought bad luck to its tenants" (towers resembled "pigs kidneys"). 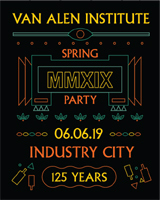 -- Call For Entries (deadline extended; fee reduced; no fee for students! ): Radical Innovation Awards: The Power to Shift the Hospitality Industry. -- Call for entries (deadline reminder): 11th Edition of Dedalo Minosse International Prize for Commissioning Building 2018/2019 (no fee!). -- Call for entries: CTBUH Research Seed Funding, Student Research Competition (over $60,000 for researchers and students). -- Call for entries (deadline looms! ): Nominations for CTBUH "50 Forward | 50 Back: The Recent History and Essential Future of Sustainable Cities." -- Call for entries: NYSERDA Buildings of Excellence Competition, Round 1 for very low or zero carbon emitting multifamily buildings - up to $1,000,000 in direct funding. -- Call for entries: Interior Scholarship 2019/2020 - The AIT Scholarship by Sto Foundation (students must be enrolled at a European university). -- Betsky cheers "Craig Hodgetts: Swimming to Suburbia and Other Essays": He was "part of the gang of designers who brought their tinkering, hot-rod-loving, improvisational approach to architecture" - the book "should give license to a whole new group of designers to follow that path." -- Bergdoll cheers Geiser's "Giedion and America: Repositioning the History of Modern Architecture": It "demands that we take a longer look at the historian himself," and "weaves together cultural influences that go far beyond any previous analyses of Giedion's involvement with American intellectual life." -- Bernstein cheers Goldberger's "Ballpark: Baseball in the American City" that "traces the connection between the national pastime and its architectural expressions." -- Okamoto says that in "PoroCity: Opening Up Solidity," MVRDV "advocates for porous forms that tackle the stifling effects of urban density - the forms presented swing fantastical and are, characteristically, manically iterative." Three vignettes excerpted from the second part of "Design Thinking," Andrew Pressman's recently published book, which focuses on how design thinking is applied to real-life challenges. Just as buildings became an incredible tool in the movement for environmental sustainability, they can and must become our greatest asset when it comes to human sustainability. 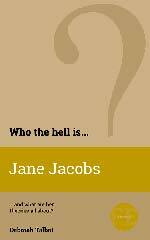 An excerpt from Talbot's "Who the Hell is Jane Jacobs? And what are her theories all about?" (Bowden & Brazil, March 4, 2019).